I am currently running my own company which I have recently set-up. There is a question which I would like to seek your help on. I am using another accounting software and am having trouble with my GST input. I have no idea if the GST I'm charging my customers is a liability? Also, how would I classify the GST Paid for expenses? Is it an expense as well? 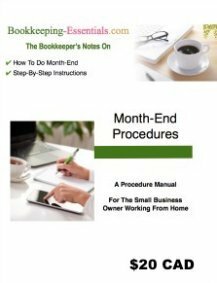 Take a look at my chat on How to Record GST/HST Using a Manual System. It will explain the various components of GST/HST so you can see how the data flows and provide you with all of your journal entries. You will have to determine how to adapt the information for your use in your accounting system. Generally, your GST/HST collected is a liability (credit balance) as you are holding the funds in trust for the government until you remit it. Your input tax credits (GST/HST paid) are debit entries as this money will be refunded to you by the government. 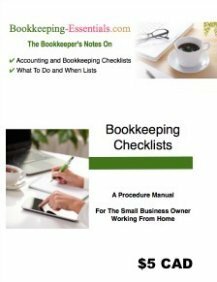 Whether these entries happen in one account or in three accounts depends on how you set up your accounting system. Thank you so much for the prompt response and I am sorry for the late response to your advice, it was extremely helpful.